Opening hours are subject to further notice in event of special festivals or activities. Admission is free of charge for daily exhibition. It is subject to further notice in event of special exhibitions..
As a non-profit institution caters to the public and persists on academic independence, Times Museum aims at reaching beyond canonical programming to nurture creative processes and cutting-edge practices in the area of art, design and architecture. In addition, it endeavors to discover the potential “contact zone” between contemporary art and the public through the tight integration between various exhibitions and academic communication, as well as of art education and community service by a conscientious effort and, by that means, Times Museum could, on one hand provide potential opportunities and inspirations for artistic production, and on another hand, promote public awareness towards contemporary art and the production process of artists. 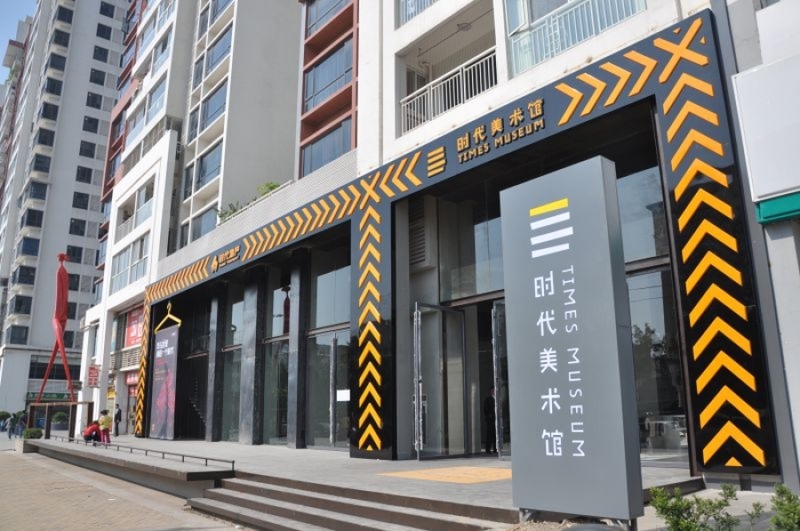 Times Museum is not only a place for exhibition, but also an arena to stimulate artistic creation and production. It’s a platform which bestows with abundant possibilities of artistic production and facilitates local art activities. It’s a museum that allows visitors to experience art in production as well as art in exhibition. It’s a site where artists can gather to exchange ideas and realize works. Furthermore, it’s a research centre and think-tank which initiates series of exhibitions, projects and public cultural events. The different functionalities of Times Museum are distributed over different floors of a residential building, it became an interweaving structure of everyday life and the living space. The Museum entrance is on the ground floor opened to the street, which has a bookstore, a cafeteria and an art shop. With a height of 7.8 metres, the lobby is in good position to hold a variety of public events. Its office area on the 14th floor is converted from three apartment units. The Museum’s own elevator vertically goes through the whole building and directly arrives at the exhibition hall on the 19th floor. The exhibition hall is equipped with a 75 metres by 12 metres light-weighted mega-sized roof. From its balcony and two glasshouses, visitors could have a bird’s view of the city landscape of northern Guangzhou, which is a typical yet distinctive Chinese urban-rural converge area. Through its uniquely designed roof windows, the skylight provides natural lighting to the main exhibition hall. The roofs of high-rise buildings in the estate fit perfectly as visual elements of the exhibition wall. The mezzanine on the top floor is used as the archival reading room, while the basement is used for collection and storage.